I was not going to do a valentine’s day nail design but I was inspired by all the heart tip nails I was seeing all over campus so I decided to give it a try. 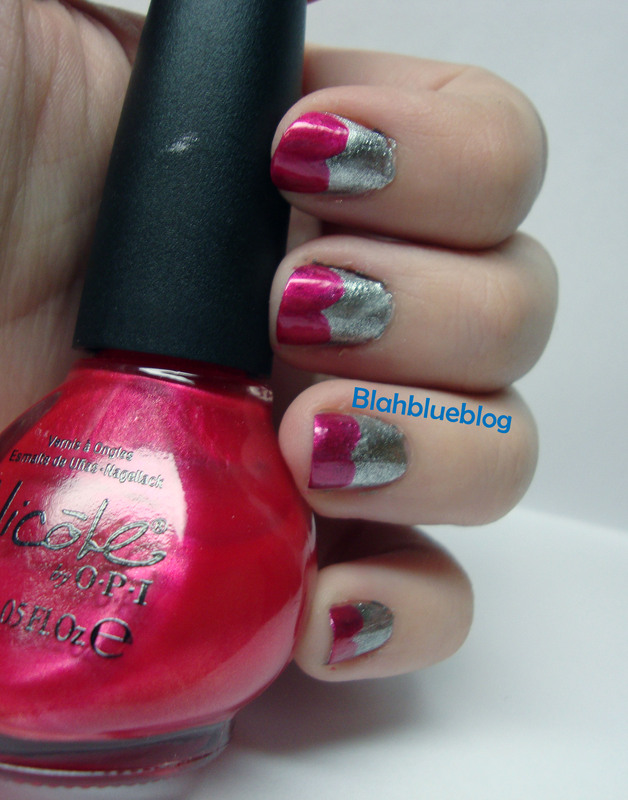 Most were pastel pinks and purples, so I decided to mix it up a bit and use my existing silver magnetic manicure and a hot pink from Nicole by OPI called It’s A May-Zing. Here is how you can easily paint your own heart tips without any special tools. I just used the normal polish brush. 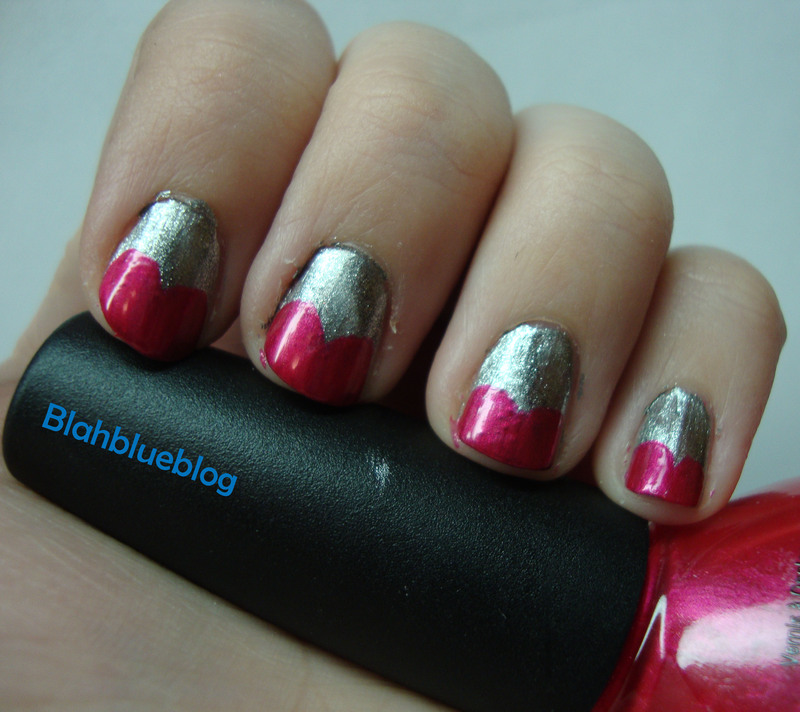 Step Two: I then used my hot pink polish to make half of a rounded heart. I just used the brush from the bottle, but you could use a smaller nail art brush if you don’t think you have a steady hand. 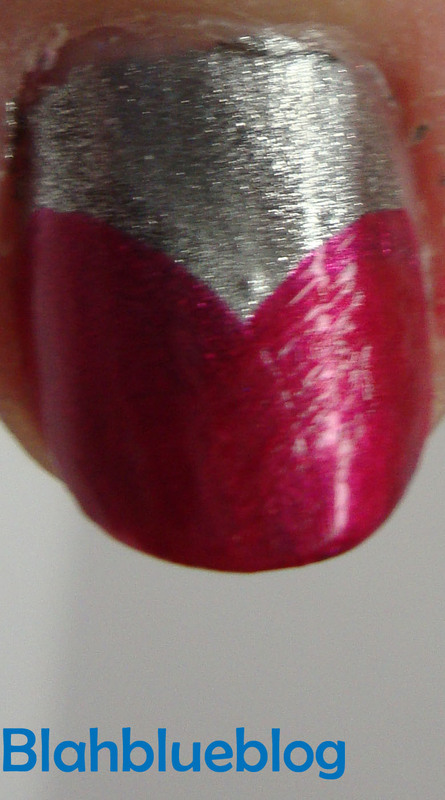 Step Three: Using the same polish paint the second lobe of the heart. If you can see the base color through the tip you can apply additional coats.